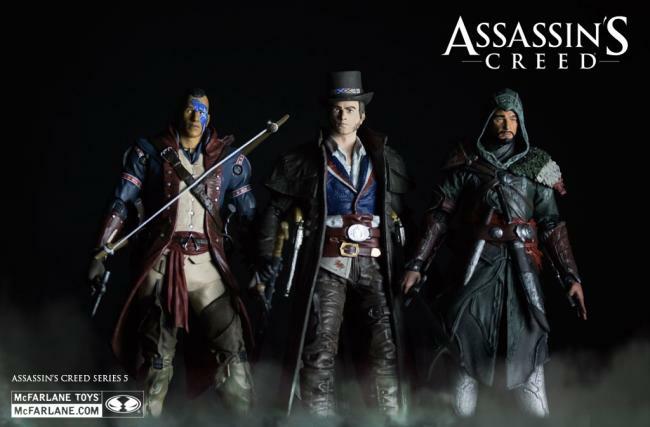 Soška Jacob Frye vytvořená podle předlohy filmové řady the Assassin s Creed 5 Movie series vycházející z grafického návrhu McFarlane Toys + Ubisoft team je vysoká cca 17,5 cm s detailním zpracováním. Fighting for the impoverished masses of 19th century London, Jacob Frye is always ready for a good ol fight against the oppressive Templar Order. 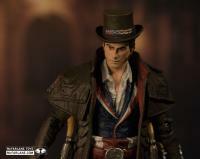 Dressed in the colors of the British flag and sporting a dapper top hat, this headstrong Assassin is armed to the teeth with cane sword, two large pistols, kukri and extended and retracted hidden blades! 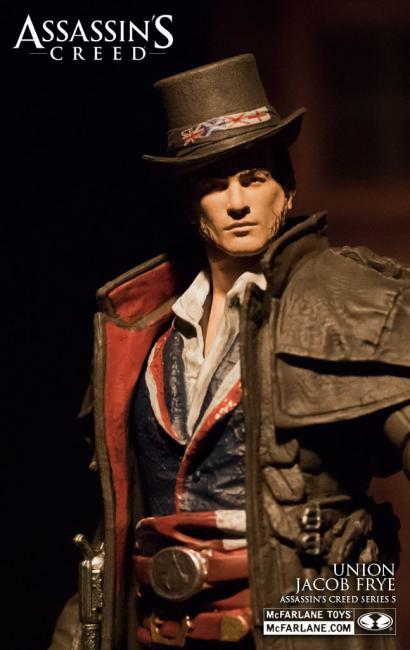 This 5 inch figure was sculpted using 3D assets directly from Assassin s Creed 5 to create exact likeness of Jacob Frye. He is dressed in his iconic Assassin robe, as seen on the cover of Assassin s Creed 5. The Assassin s Creed series tells the story of a heroic order of Assassins, fighting a conspiracy that spans thousands of years – taking fans on an adventure through world history! 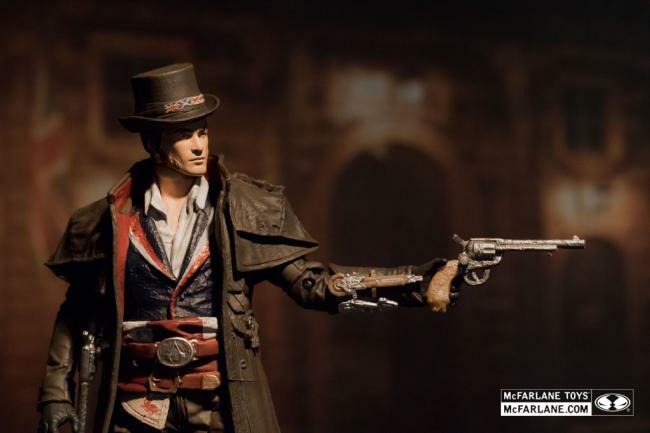 McFarlane Toys has partnered with Ubisoft to create action figures, role play items, and resin statues from the blockbuster Assassin s Creed series of video games. 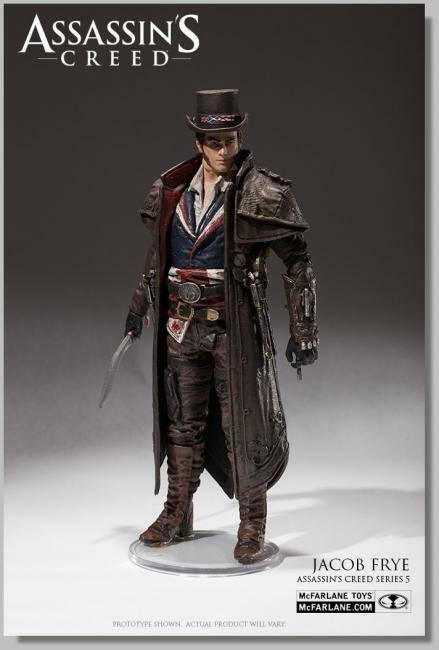 Each figure line brings collectors all-new characters, outfits, and weapons from the Assassin s Creed universe.